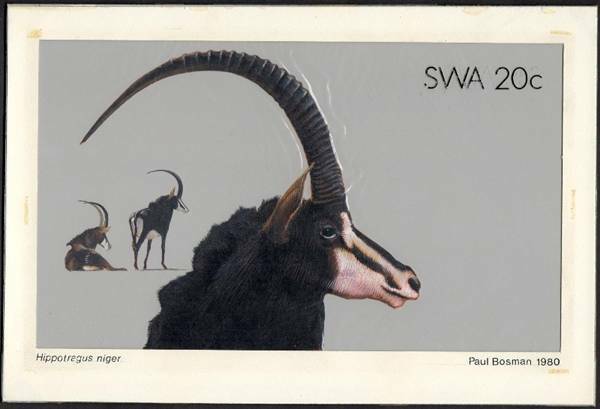 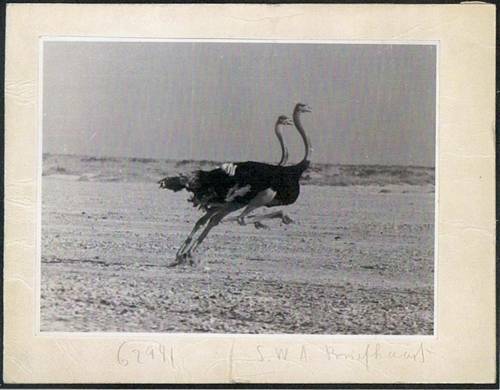 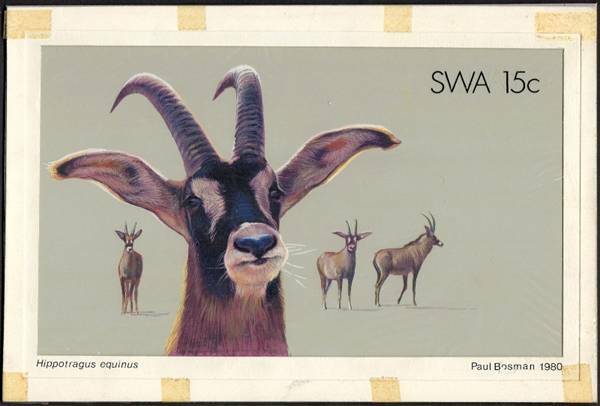 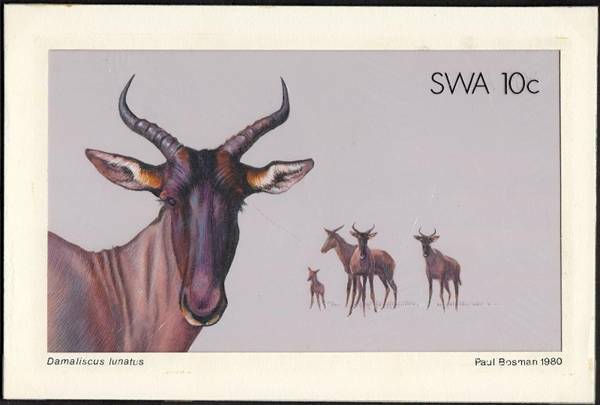 Paul Bosman - Born 1929 a Wildlife artist, today his original paintings sell for thousands of dollars. 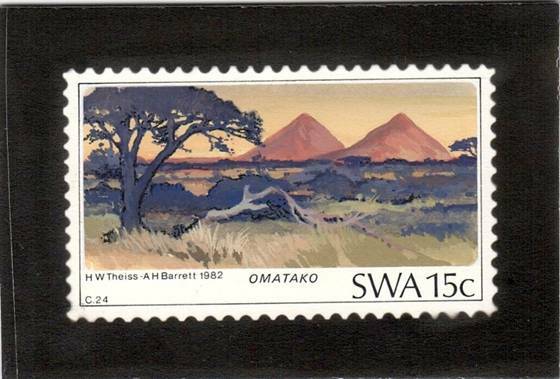 A. H. Barrett - A talented fine artist, born in England, he immigrated to South Africa as a young man. 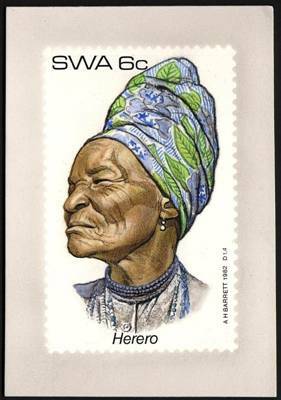 He earned his living painting portraits, illustrating books, calendars, postage stamps and taking almost any commission that was offered. 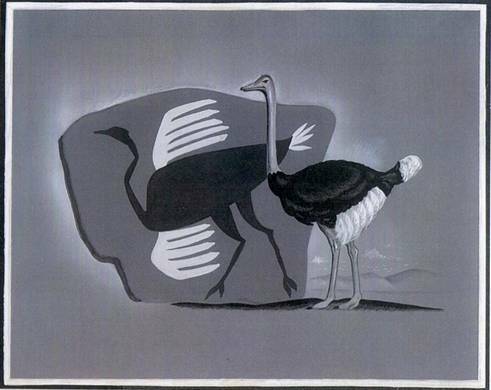 Birds, ships, fish, snakes, city-scapes, people - whatever he painted, he did it to perfection. 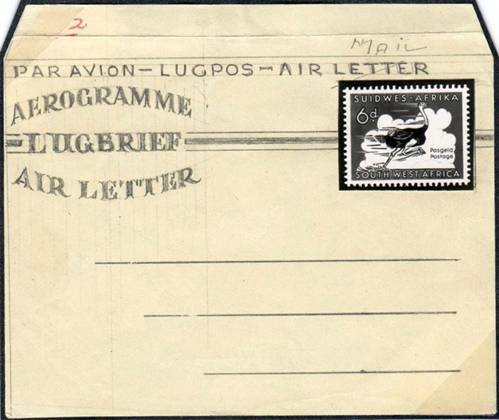 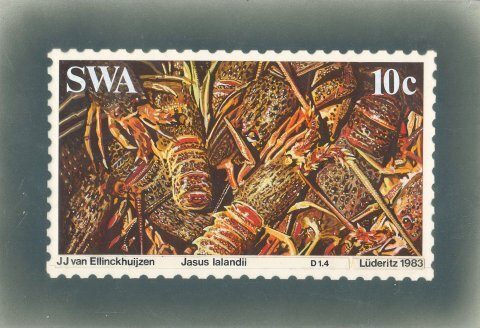 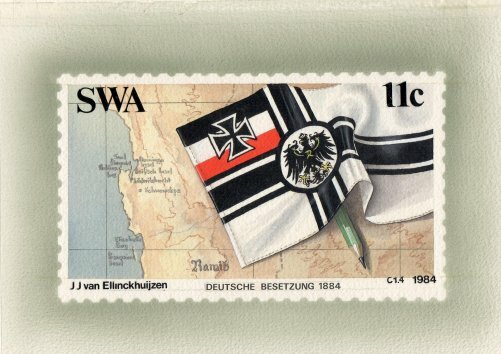 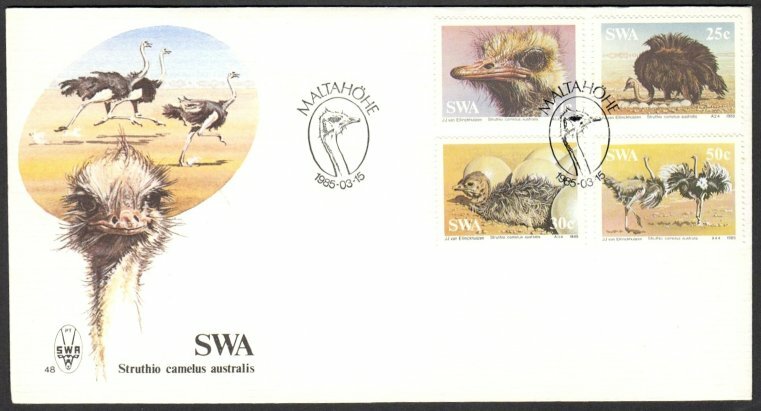 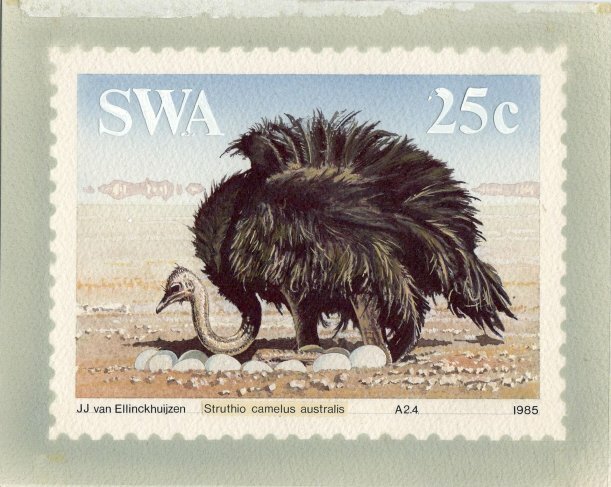 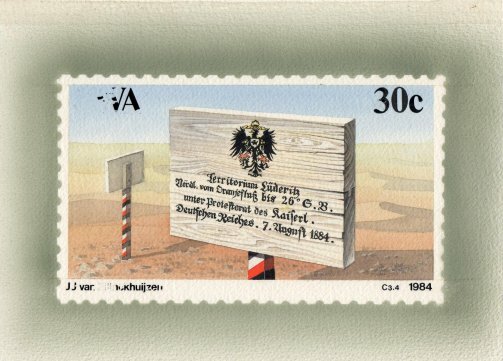 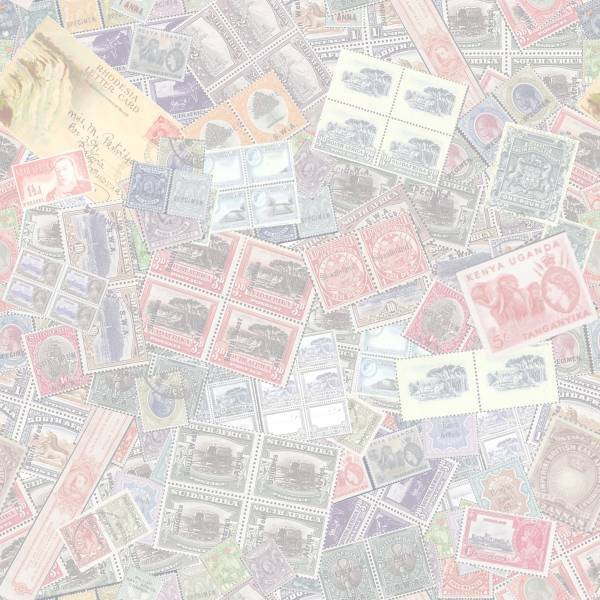 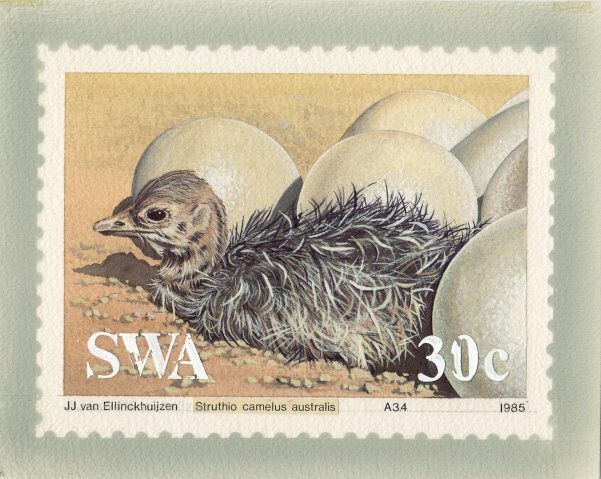 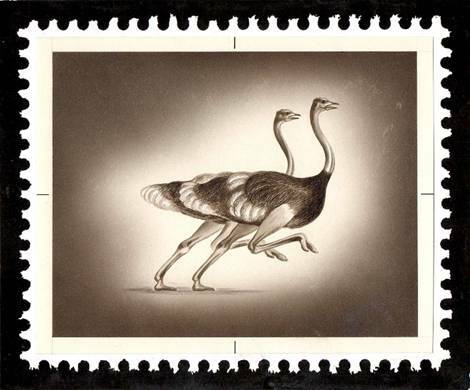 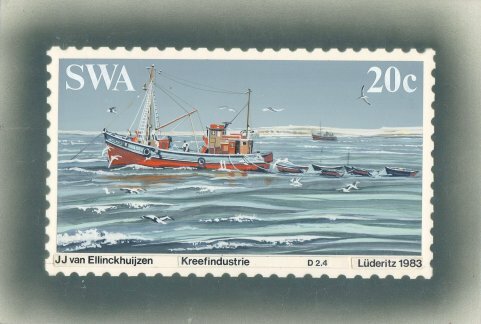 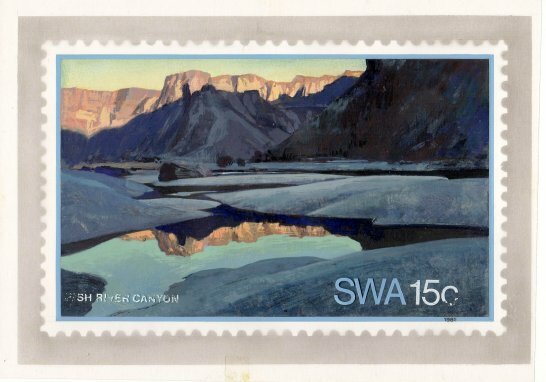 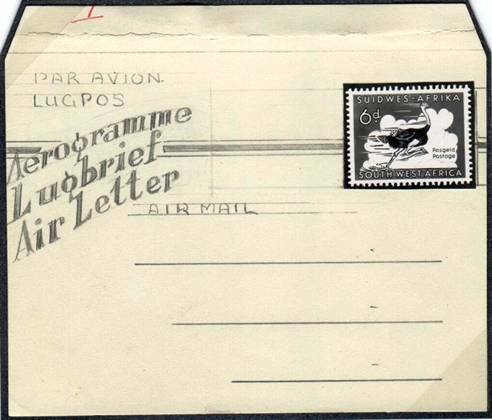 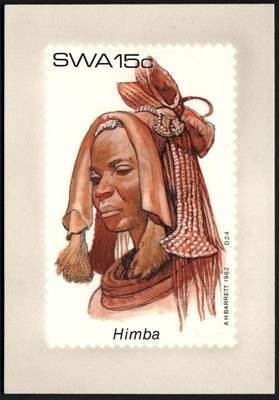 In three consecutive years, his work won third, second and finally first prize as Best Stamp Design, judged worldwide. 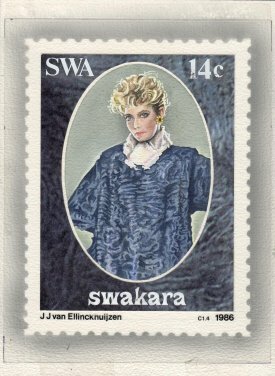 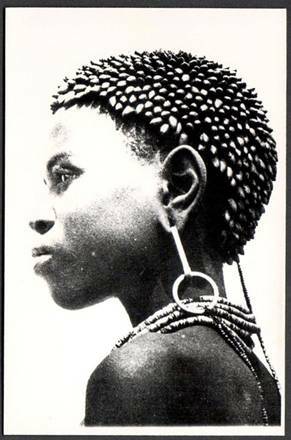 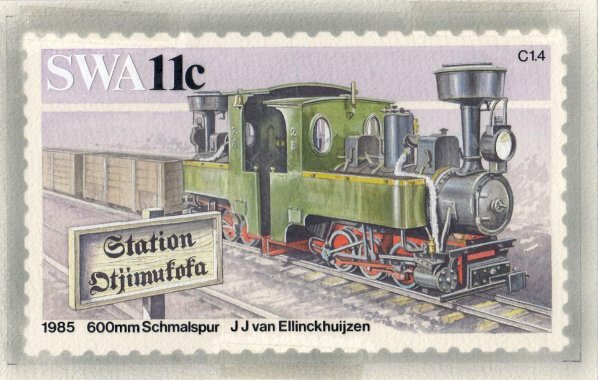 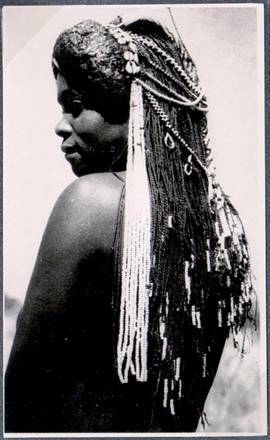 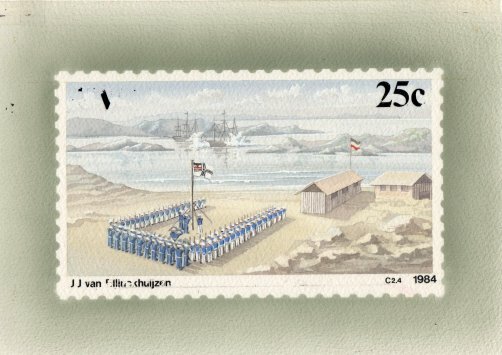 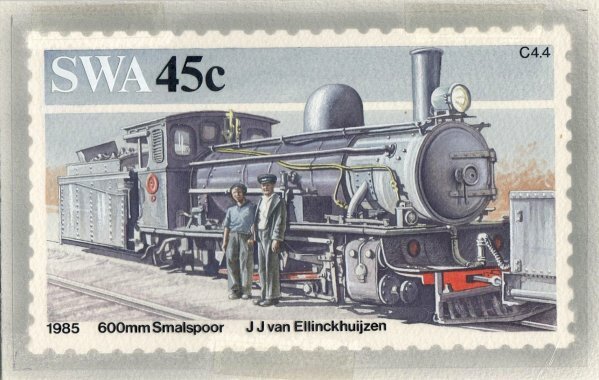 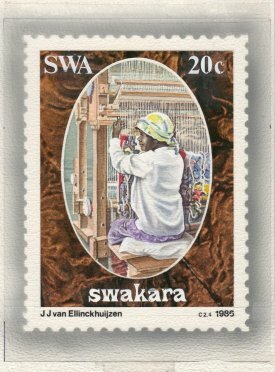 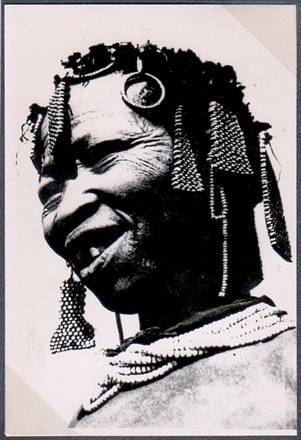 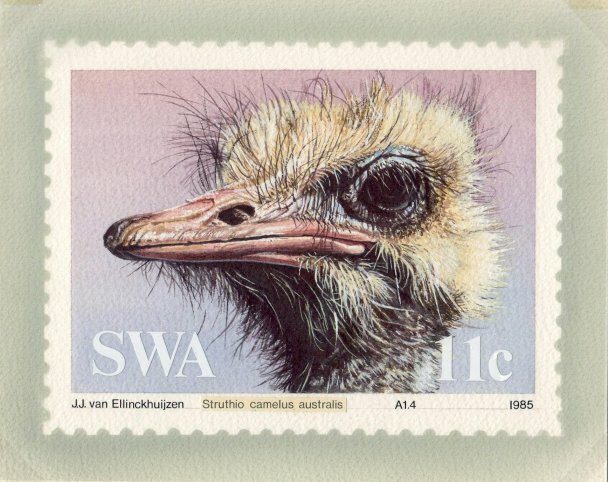 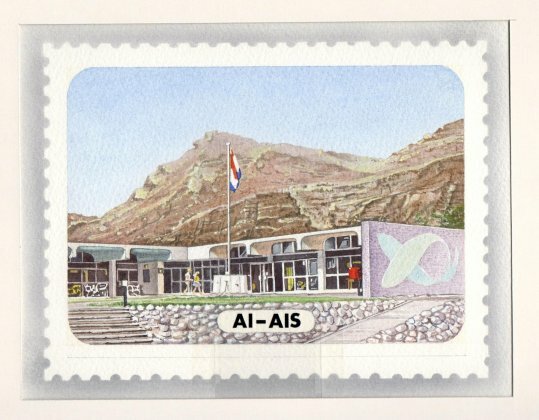 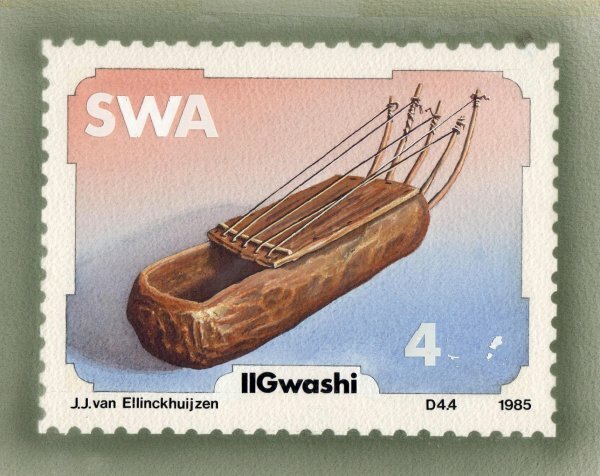 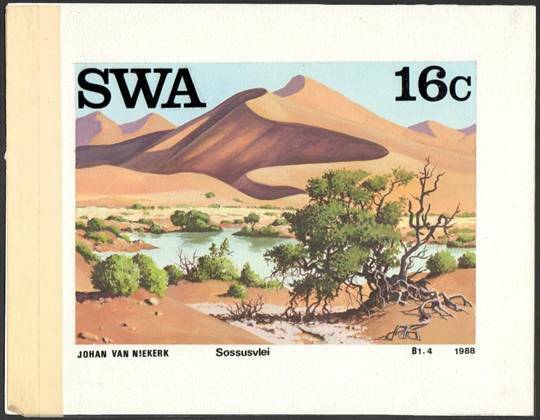 J.J. (Koos) van Ellinckhuijzen is a Namibian artist. 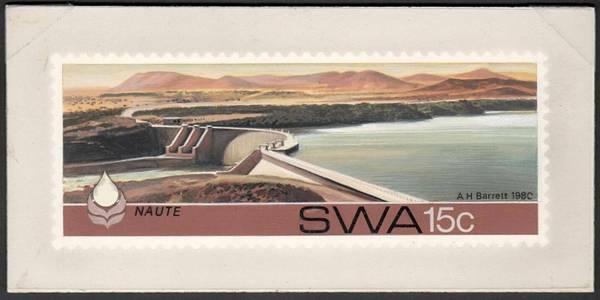 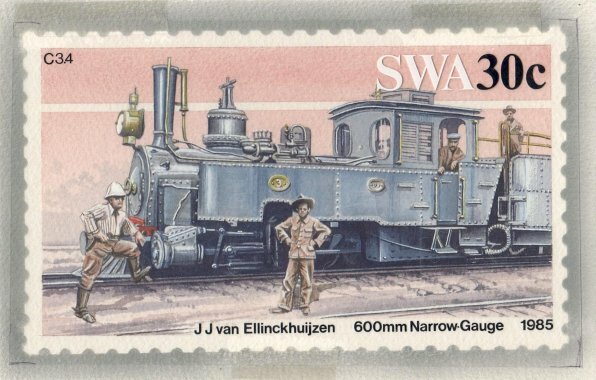 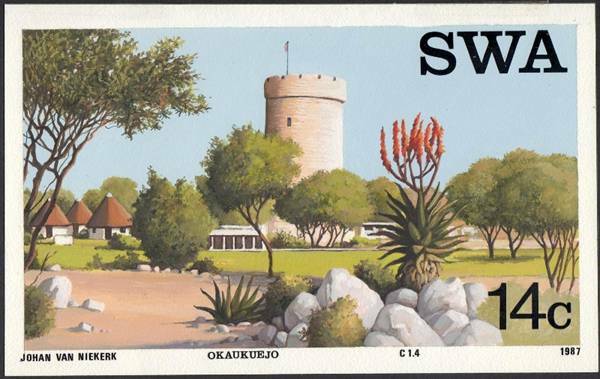 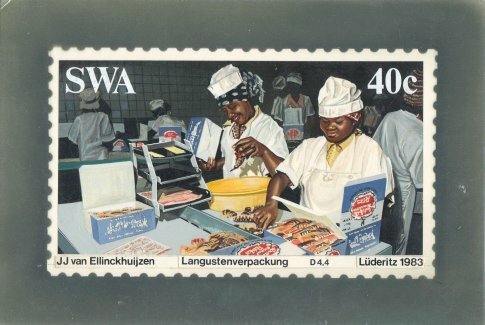 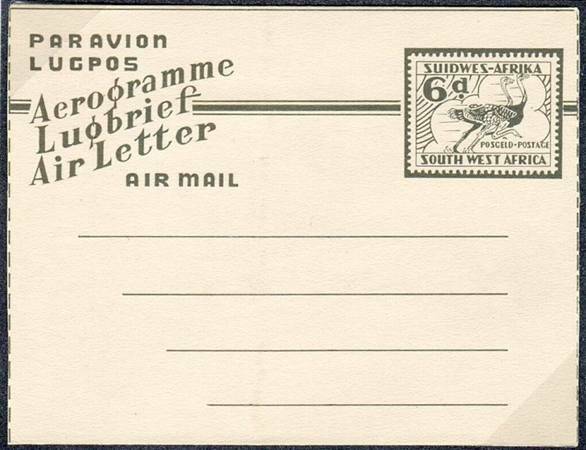 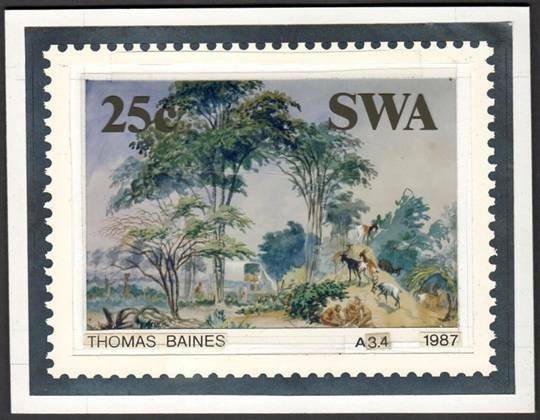 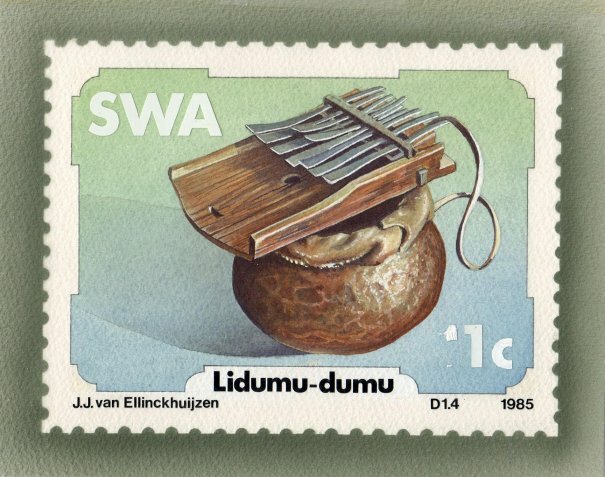 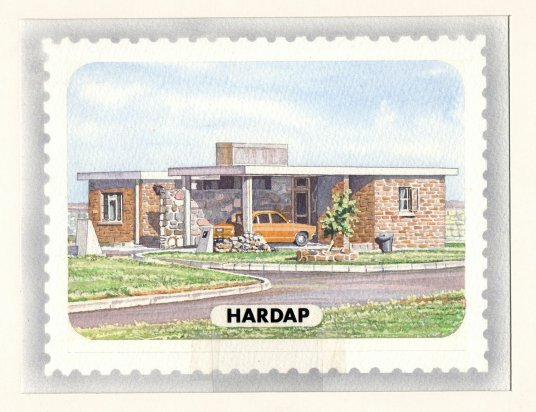 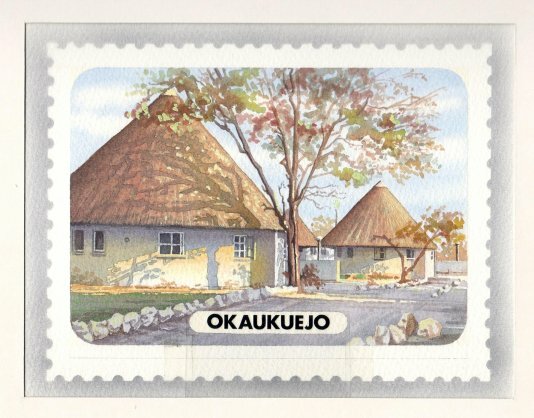 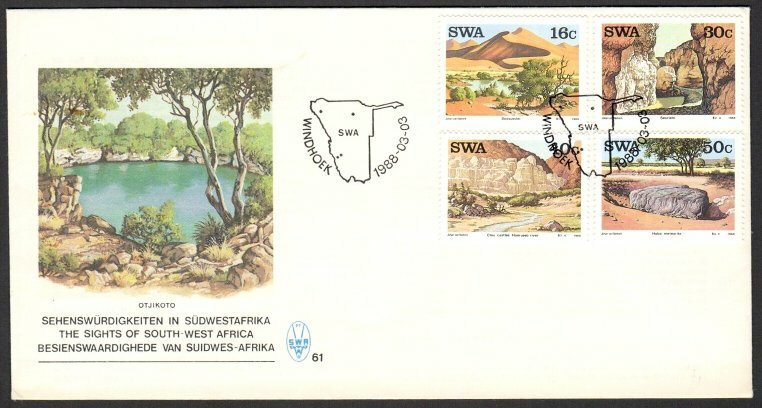 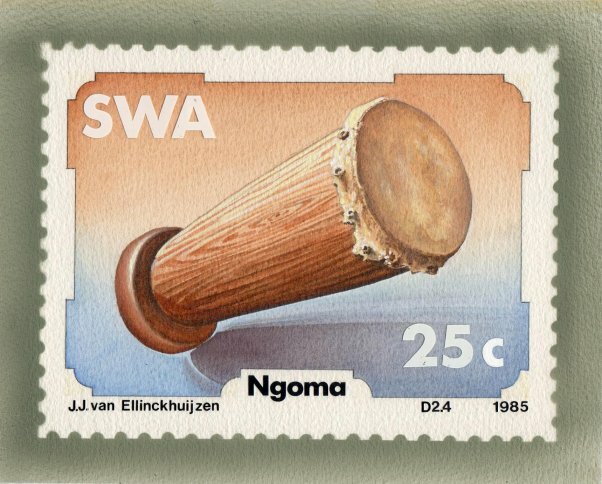 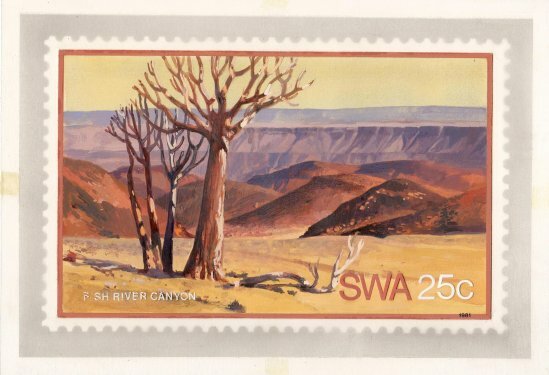 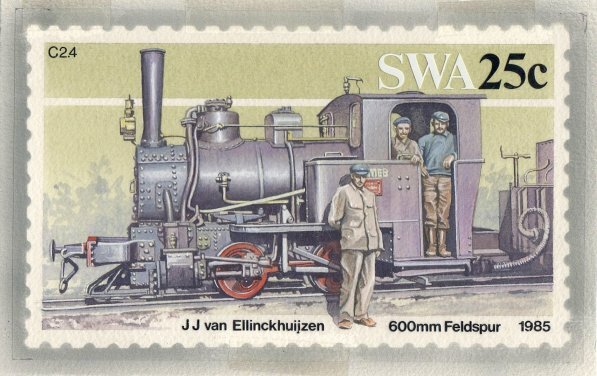 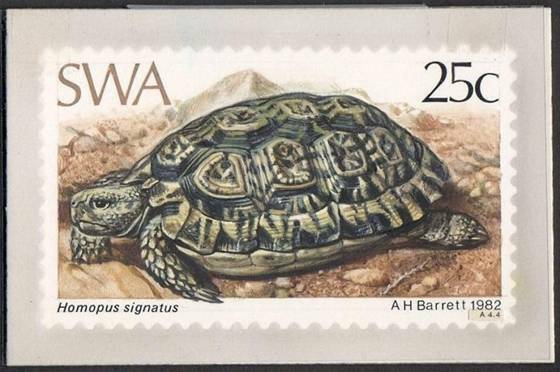 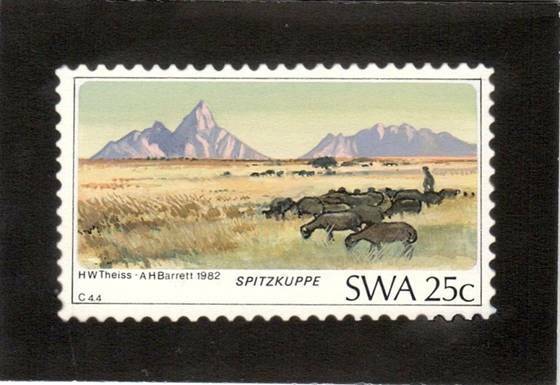 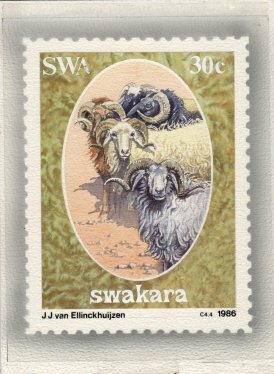 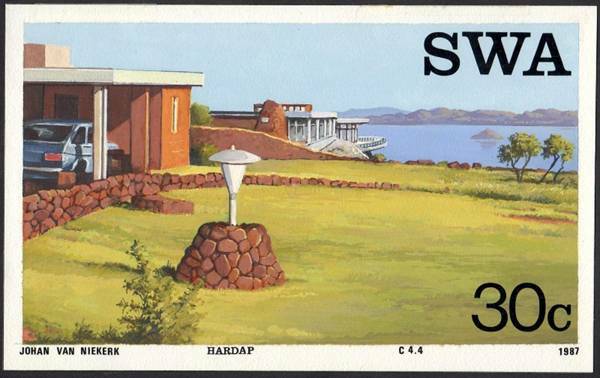 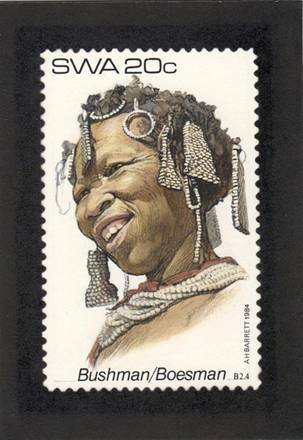 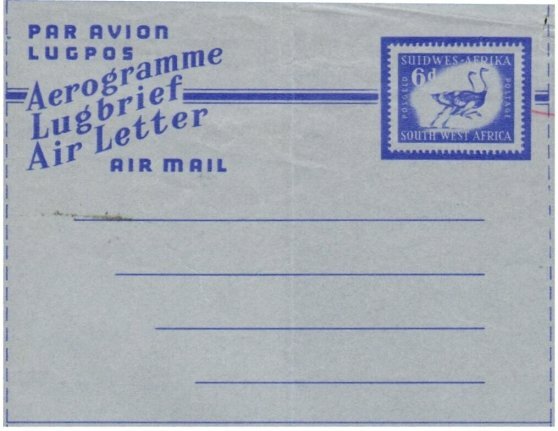 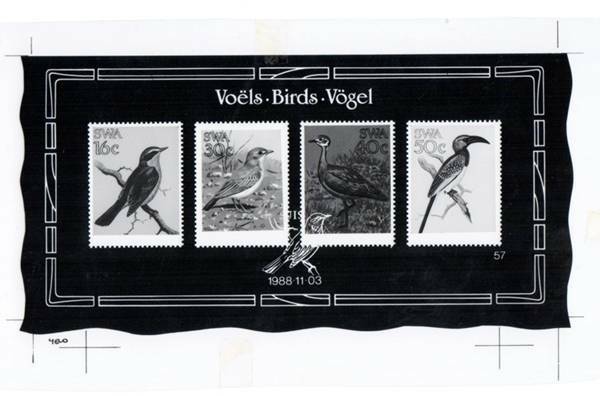 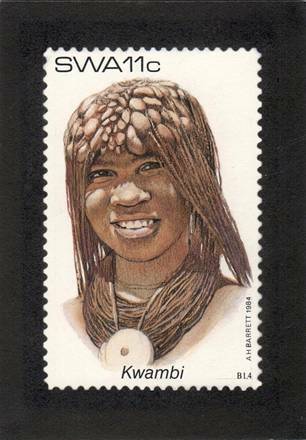 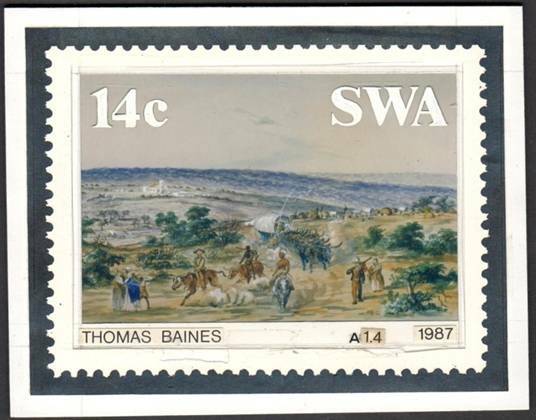 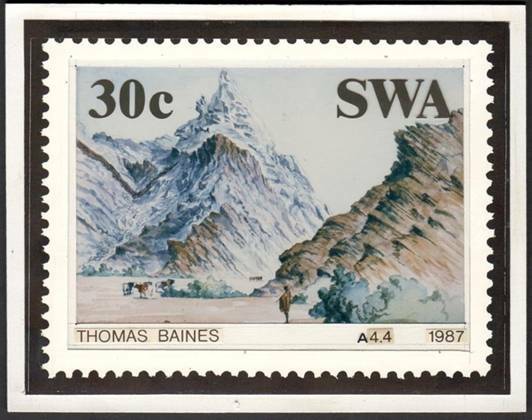 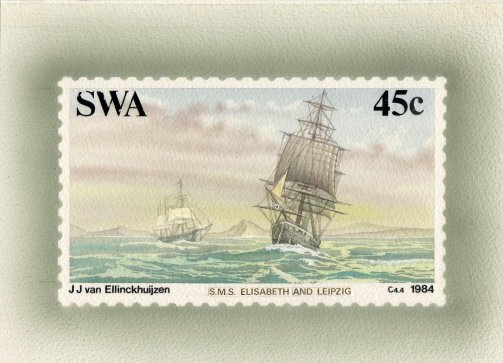 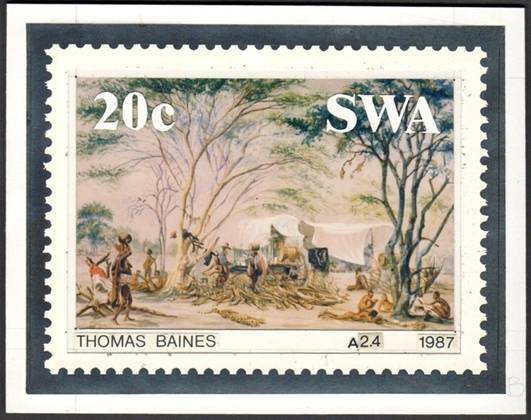 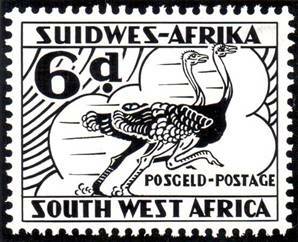 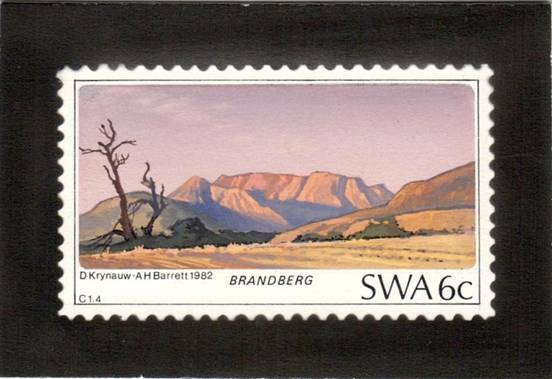 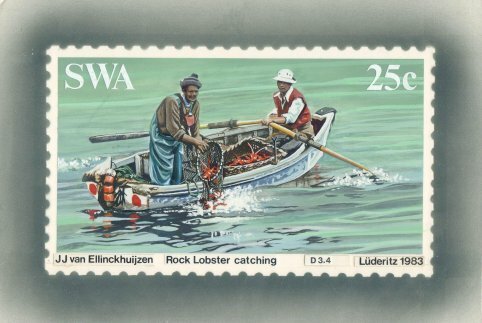 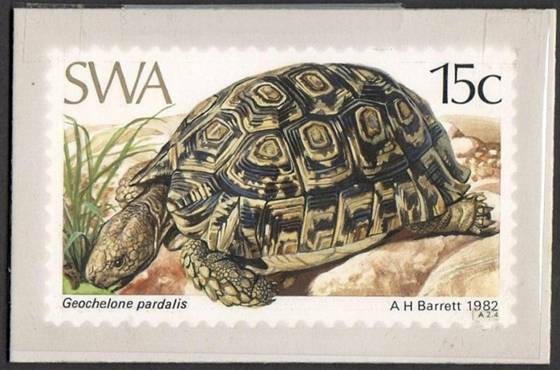 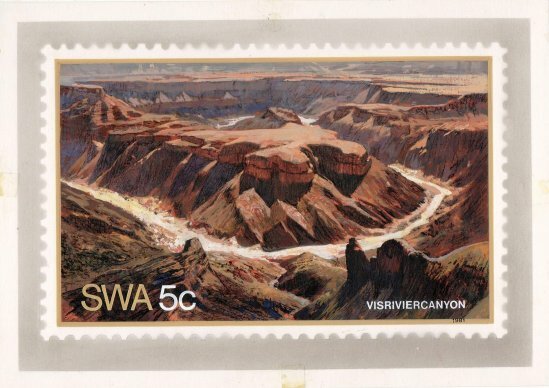 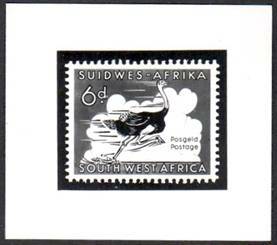 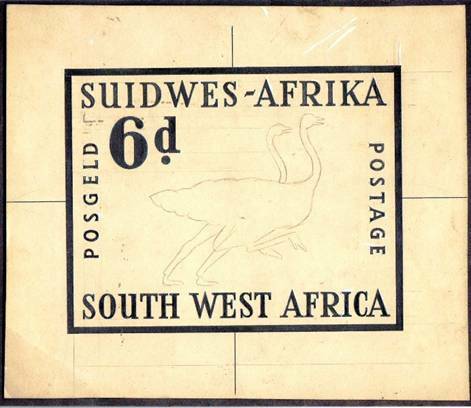 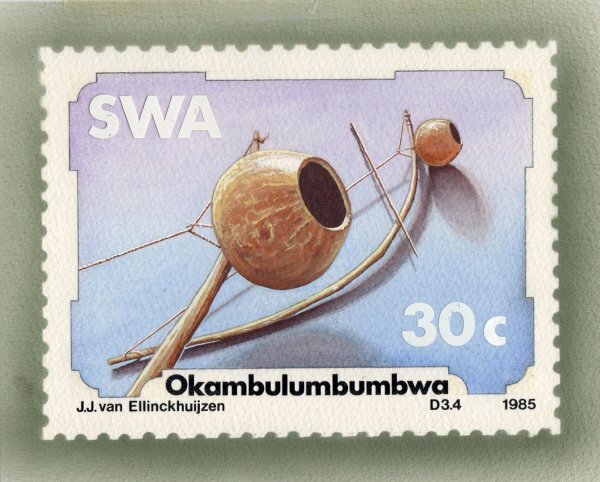 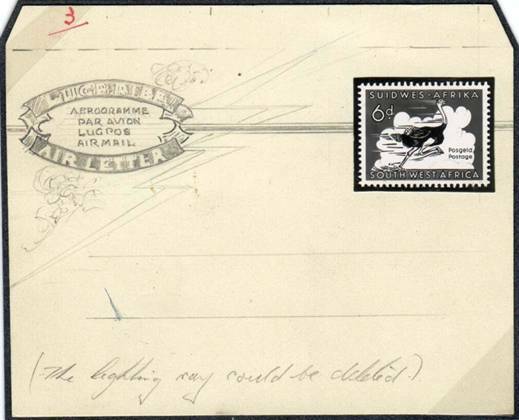 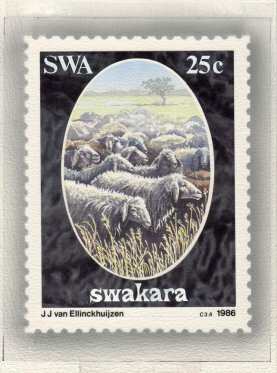 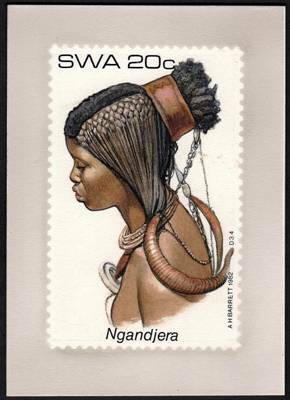 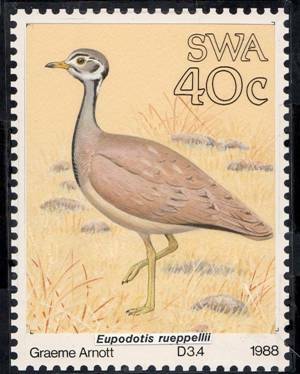 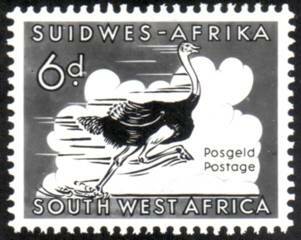 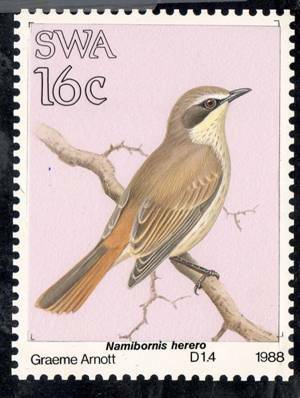 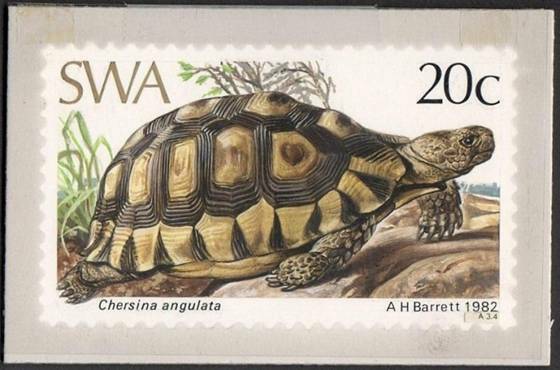 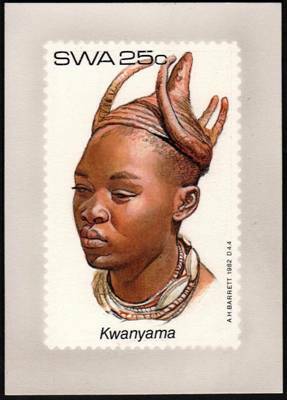 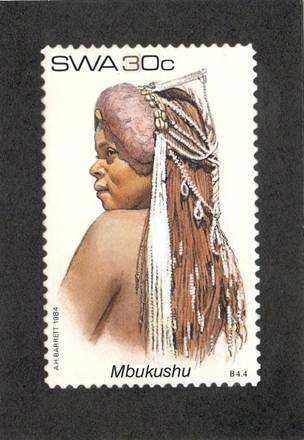 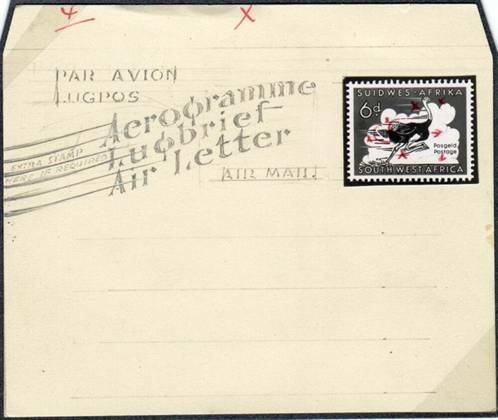 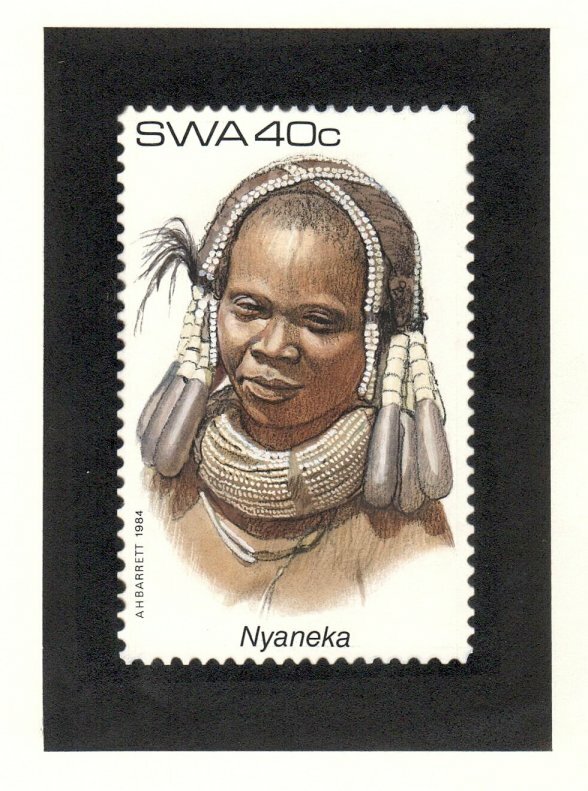 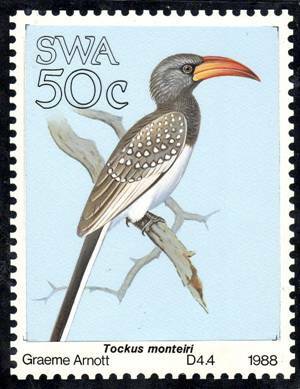 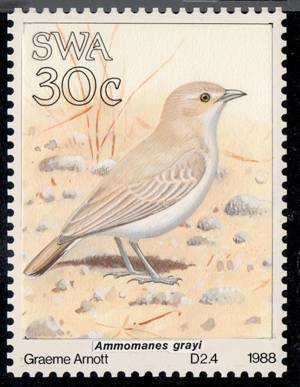 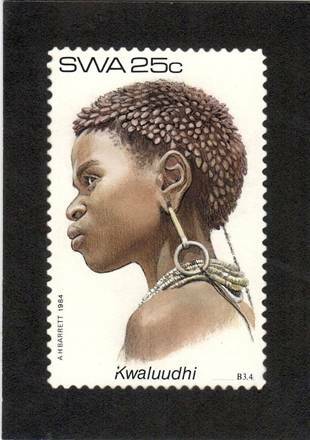 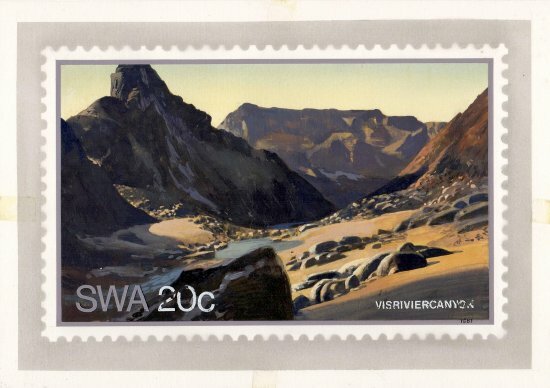 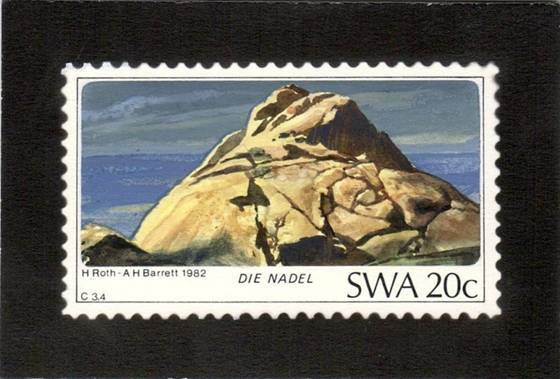 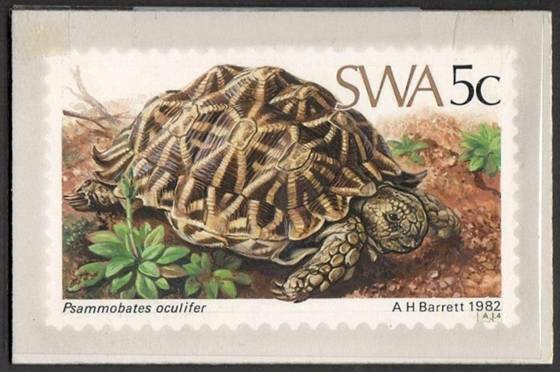 He is most noted for his work on Namibian and South West African postage stamps. 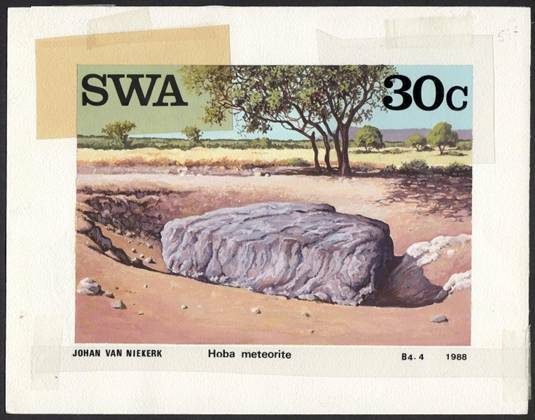 He has exhibited in both Namibia and the US. 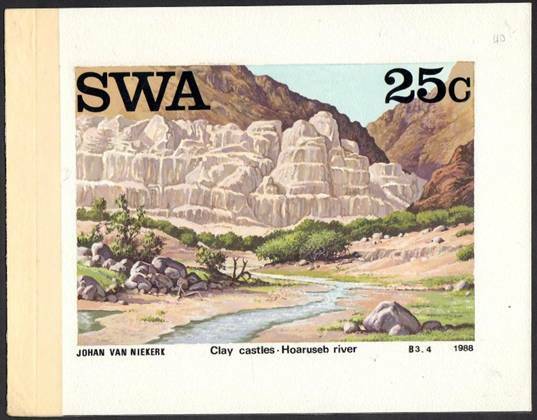 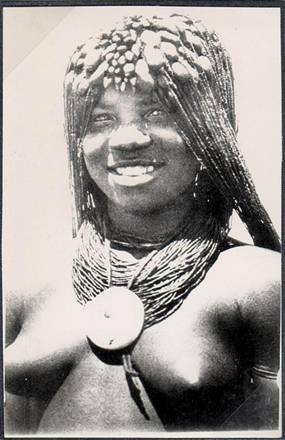 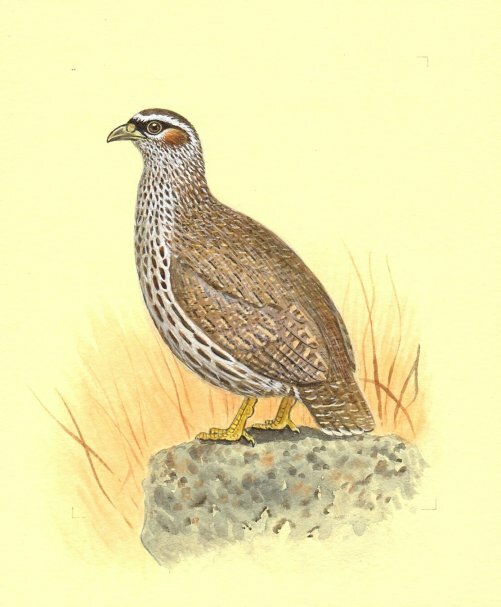 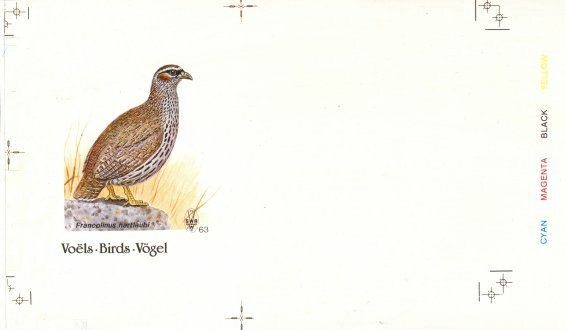 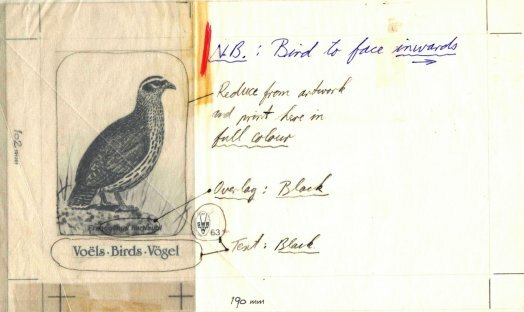 Adelheid Lilienthal, in Art in Namibia has noted the scientific accuracy of his designs, their clean lines and his use of watercolor techniques. 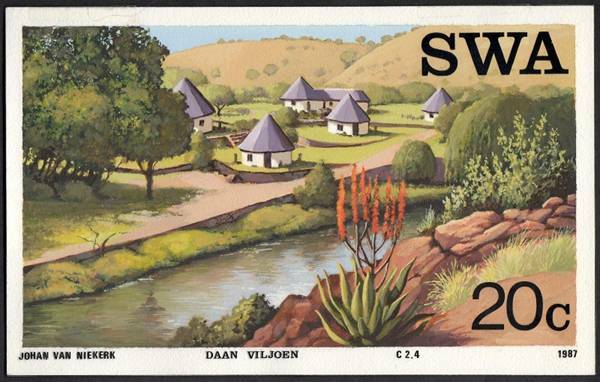 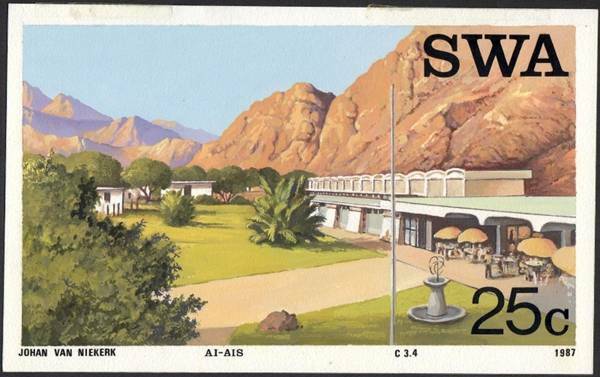 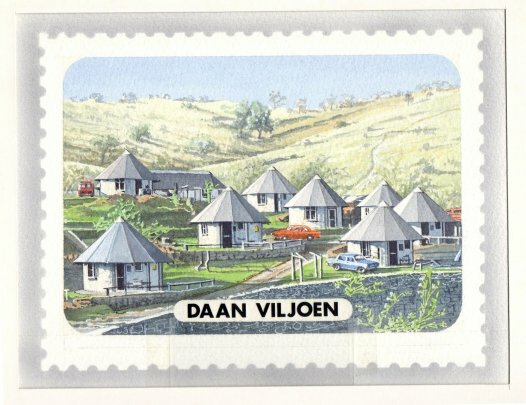 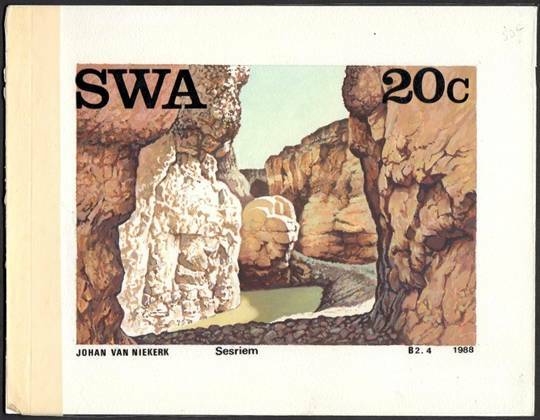 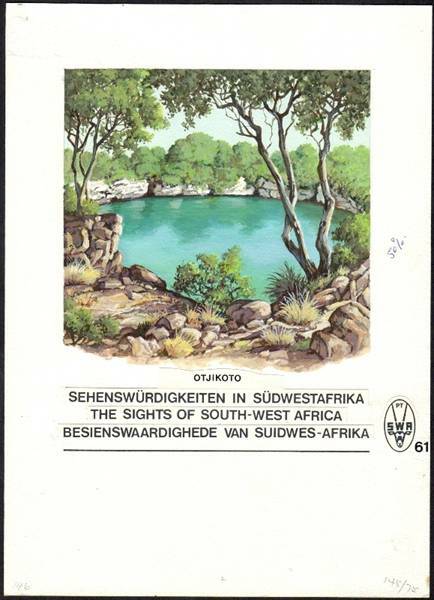 Johan Van Niekerk - Painted the 1987 Tourist Camps and the 1988 Landscapes issues. 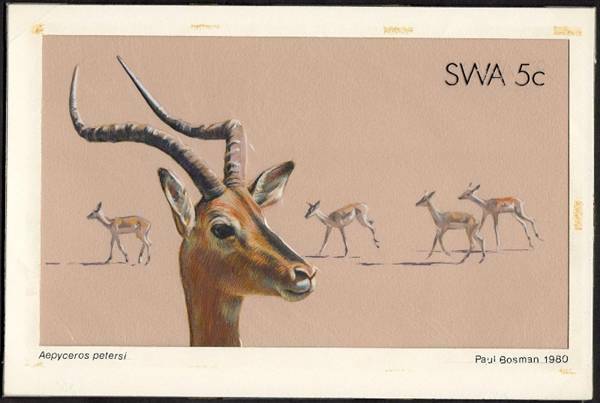 Graeme Arnott interest in studying and drawing wildlife developed in early boyhood growing up on a farm in the Rhodesian bush. 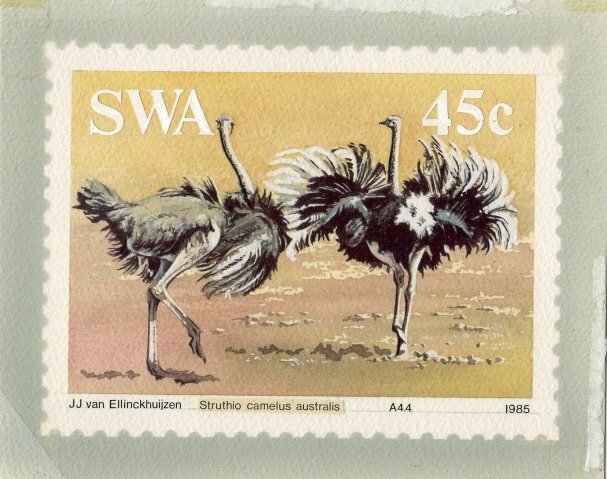 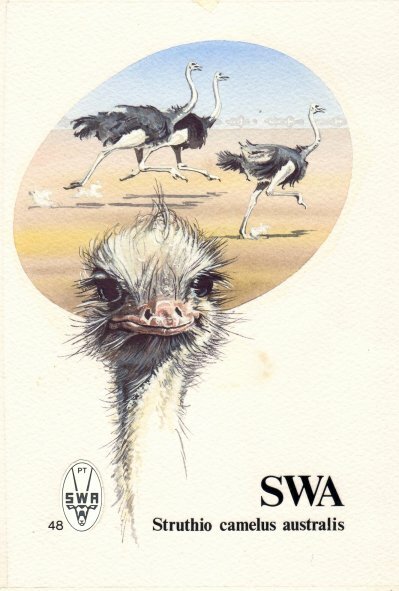 In 1975 he took up bird painting as a fulltime profession illustrating the books. 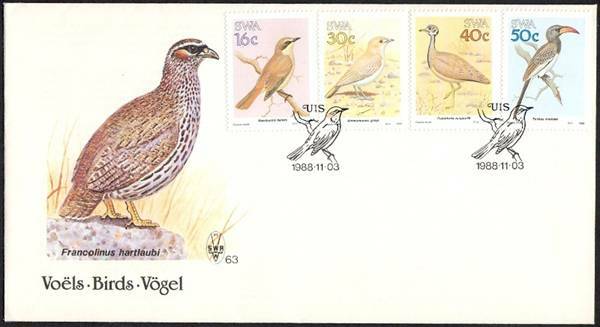 He is responsible for the 1988 Birds issue.